Innovation came in two forms this year at the Golf Industry Show (GIS) in Orlando. The first form was at the Opening Session Tuesday night when retired golf course superintendent Paul Latshaw received the Old Tom Morris Award. I try not to miss this presentation, when GCSAA recognizes one of its own. As I listened I couldn’t help but reflect on Latshaw’s innovation and impact on how we manage golf course turf and golf itself. Latshaw created and perfected the idea of “volunteer superintendents” at professional golf tournaments. It was the 1978 PGA Championship when he sent the word out for volunteers. Seven heard the call. The volunteer superintendent idea has evolved into an army at all major tournaments. Latshaw was first to mow fairways (crosscut) with walk-behind mowers for a national golf event, during the 1997 U.S. Open at Congressional. 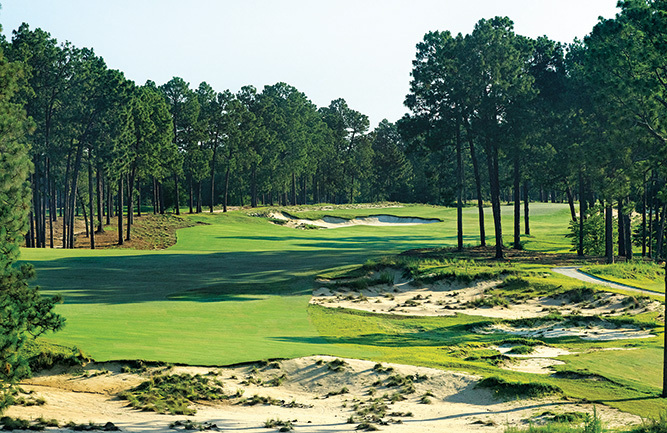 Considered over-the-top by many at the time (and discontinued), the reason behind the practice — to neither damage nor influence the playability of the rough due to the turning of multiplex mowers — changed rough maintenance. We tend now to mow in a push/pull pattern (tee to green), in part to protect the edges of the rough from the wear of turning mowers, to use blowers in tournaments to fluff up the rough, as well as to give added attention to how we irrigate and fertilize roughs. I still see remnants of the walk-behind mowing at old golf courses with narrow fairways, where they mow a fairway clean-up pass with a walking mower. So many Latshaw innovations come to mind, from collar mats to hand rolling to managing greens on the “edge” via the art of watering. These are just a few of the innovations that have raised golf to a new level of maintenance and playability, which has not gone unnoticed by golfers. Some of the changes have not come without criticism. The increased work hours required and amount of hand labor needed often is associated with this higher level of management. Latshaw’s impact and influence will continue. In attendance at the GIS awards session — besides Latshaw — were 170 golf course superintendents and assistants with professional lineage to him. 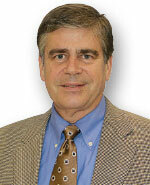 His philosophy of golf course management permeates the golf industry through his mentoring. The second form of innovation occurred the following day on the GIS trade show floor. Walking through the booths, you couldn’t help but notice how technology is changing the golf business. Much like the car show “How It’s Made: Dream Cars” on the Velocity Channel, where a few workers control robots that assemble the cars, the technology and innovation I saw on the floor will change the landscape of golf course management. A sampling of those innovations ranged from lighter and more powerful batteries that will power turf equipment, to mowers and sprayers guided electronically without an operator, to computer software that can monitor just about anything from a superintendents’ computer, notepad or smartphone. Could the future superintendent manage a course with only a few “technicians” and fleet of computer programmed and guided equipment? In the past, the future was something that you were told was years or decades off. But it seems the future is tomorrow. It will be fascinating to watch the innovation of golf course management represented by Latshaw merge with the technological advancement of the industry.